I’m a sucker for gorgeous books, I really am. There’s obviously not a problem with this; I do tend to judge books by their covers before I read them, but sometimes something overcomes me and I need to buy more and more copies of books. One is never enough! If you’ve watched any of my YouTube videos, or seen pictures of my bookcase, you may have noticed some of the multiple copies on my shelves. A question I’m frequently asked is: ‘Why do you have three copies of The Fault in Our Stars?’ That is a very good question indeed. My answer? I have no idea! I just can’t help myself. My first copy was the one I originally read, and I then found another copy in a charity shop for a very good price. I just couldn’t resist! And my final copy was my Grandma’s, which she no longer needed after reading it. I have a best copy, one to lend out, and one I shall be doing something with, which I will tell you all about in a future post. 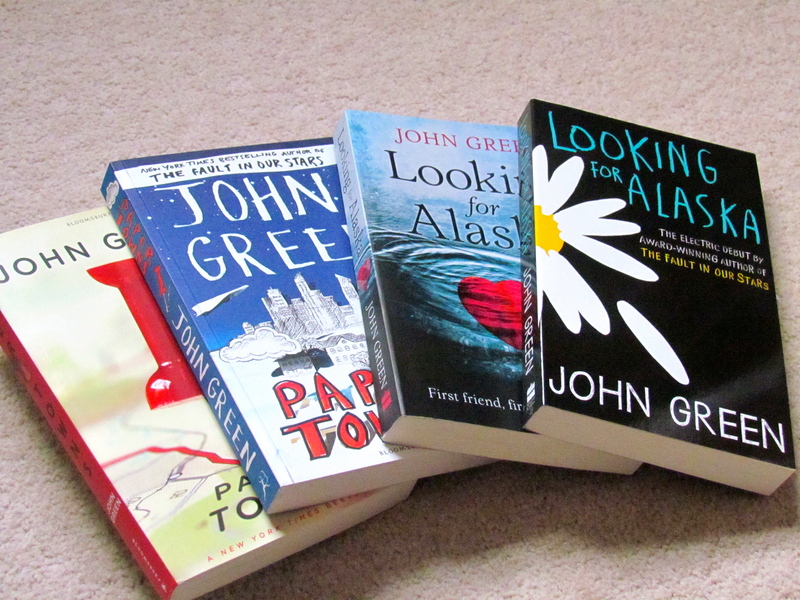 Recently I also picked up two more of John Green’s books, which I have already read and loved. 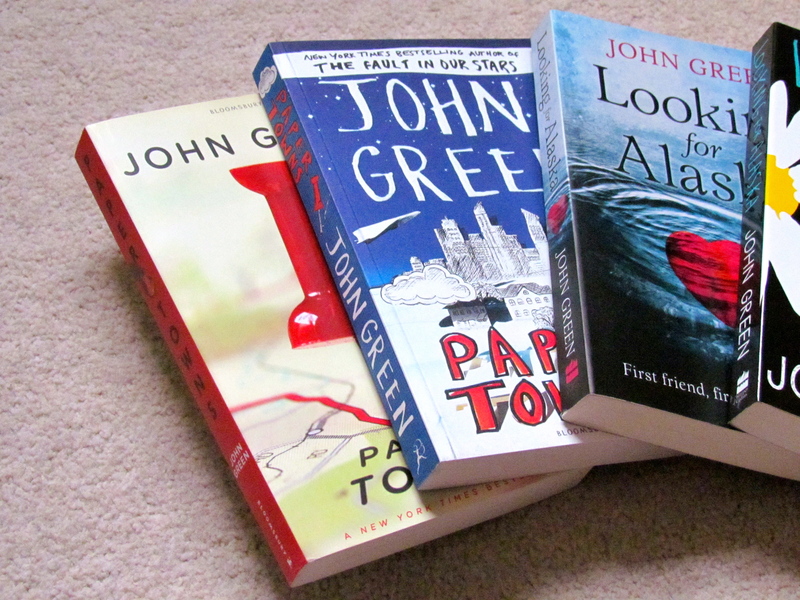 In my defence, they have been re-jacketed and the new editions are so beautiful and hug-worthy. The Paper Towns on the left is the older edition, the right the latest. The differences between the two are striking, but I love them both. The earlier version incorporates the idea of the ‘paper towns’ on the maps, whereas I like the paper elements of the latest cover. Both really capture a core part of the book. The older version of Looking for Alaska is on the left, the latest on the right. I prefer the latest because of it’s simplicity but also because it stands out so well. It’s also very shiny. I do really like the older version, but there’s just something about it that stops me from loving it unconditionally. The books are my favourite series and have a very special place in my heart. The first three books were originally self-published so have different covers and the content is a little different. I borrowed the first three from the library originally and then bought them when they were published by Orion afterwards, and then I found the first self-published book by chance and was gifted the second and third. The fourth book was originally published in hardback and I also bought it when it came out in paperback, and I have a best of the fifth, and another copy just because it’s my favourite. 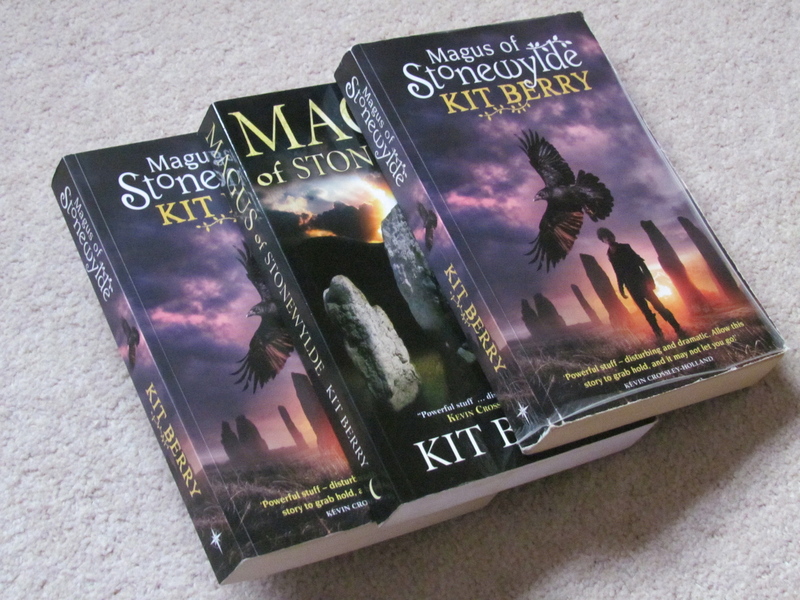 I’ve met the author, Kit Berry, twice now and so quite a few of my copies are signed, and I must re-read them all soon! 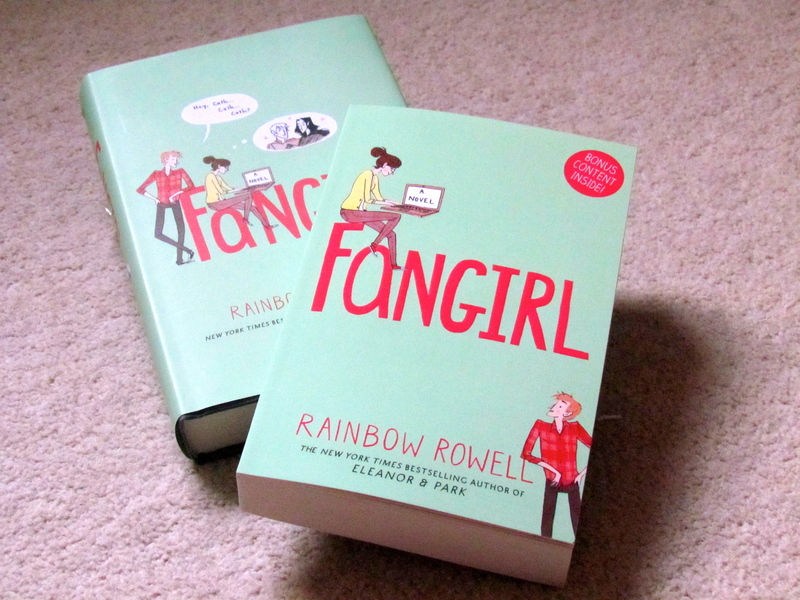 Finally we have the victims to my obsession… Fangirl by Rainbow Rowell! I originally read an e-ARC in spring 2013 and it immediately became one of my favourite books, and then ordered the US hardback in November because I just couldn’t say no to myself. The US hardback is amazing, and I think I slightly prefer it to the UK paperback, although the paperback contains graphics from Noelle Stevenson, or Gingerhaze, who is behind the cover, and an interview with Rainbow Rowell and bonus Simon Snow content. The paperback is decoration, whereas I know I’ll definitely be re-reading from the hardback, or my e-ARC where I have colour coded everything. Do you collect multiple copies of books? Let me know your collection below! If you don’t, why not? I just can’t have two copies, I feel so guilty because it just seems like such a waste and what if I decide to read the book again and I have like 5 other copies. Which one do I read it? I dunno, I don’t buy books often so I tend to be more reserved when it comes to buying. Like you I have more than one copy of TFiOS. I have the one that I read back in January 2013 and then last October I found a limited edition red hardback copy which was signed. So I have that as well. I also have to copies of Harry Potter and the Philosophers Stone and Harry Potter and the Chamber of Secrets because I have my paperback ones that I bought myself and then my auntie gave me her two hardbacks. 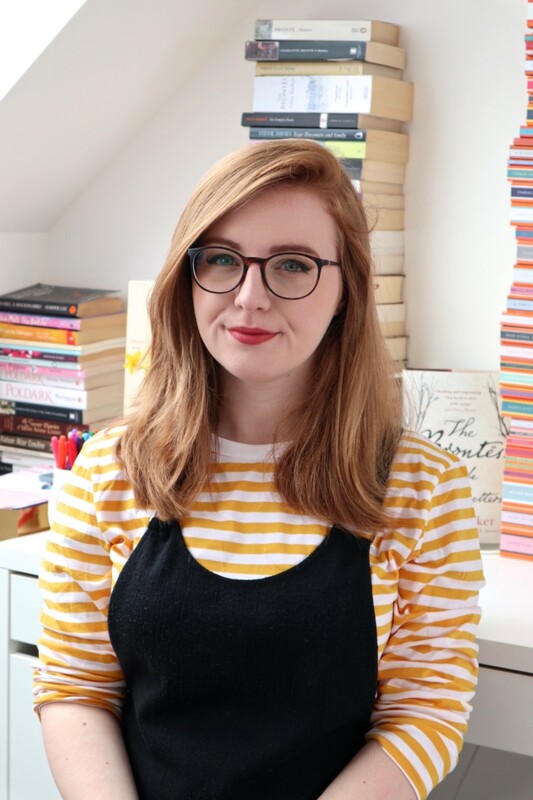 I have the UK paperback of Fangirl and as much as I love it the cover dents and bends in a really odd way when you’re reading and I have to pile loads of books on top of it to get the cover flat again…. aagh! I just love your copy obsession 😀 I’m definitely going to get a copy of the US hardback of Fangirl, it might be a teensy change but I love the layout of the cover with Levi and Cath next to each other! Well I collect Joey Hifi designed covers, so sometimes I’ll buy a book because he did the cover, even if I had another version. I also try and buy final copies of books I have proofs of and loved, although I have space limits, what with all the unread books I also have. I like books as objects as well as the contents, so I completely understand the multiple copies thing. Ellie recently posted…Win The Book of You! I have multiple copies of The Hobbit (4= 3 in English and 1 Russian), 2 copies of whole The Lord of the Rings series (including The Children of Hurin), 3 copies of Wuthering Heights (1 English, 2 Russian), 2 copies of Pride and Prejudice (and want one more, because cover!). That’s only few I can remember right now, but I’m sure there are more of them. I don’t own multiple copies of a book, but I wish I did! I understand the appeal of getting different copies of the same book. Sometimes, a book will have incredibly gorgeous covers and I’ll want it in my life. To have it on my bookshelf would be wonderful. However, Money is always an issue, so I can’t buy another copy. If I had a lot, then I’d probably get the books with the covers I absolutely adore like Rainbow Rowell’s books or Vicious by Victoria Schwab. They’re all sooo pretty! Occasionally there is a book where I need to have the various different versions of the covers. For example, ‘The Bell Jar’ by Sylvia Plath. I have a few copies of ‘Jane Eyre’… I am trying to think what else… ‘Gone With The Wind’. It is hard for me, too, when a series changes covers and then I feel obligated to get the new ones so the set matches. I would love to buy more than one copy of books, and I did almost order a second copy of The Hobbit today, but I just don’t have the space in my book cupboard or the space for an extra book case. I do have 2 copies of Pride & Prejudice one is my own which matches all of my Jane Austen novels which I got in a boxset. I also have another copy somewhere, which I’m passing onto the charity shop so that someone else can enjoy a bit of Austen. Now that I think about it, I have 4 copes of Wuthering Heights, I have 2 Vintage Classics from when I was studying it at A Level. I also have a Harper Collins Edition which must have been out in the Twilight era as on the front it says it’s Bella and Edwards favourite book. My 4th and final copy is a clothbound one which my Granddad gave me. For some books, it’s almost an absolute must to own more than one copy! For me, it’s usually for the cover’s artwork. I have four copies (a 1960, a 1993, and a 2004 hardback and a 2004 paperback) of To Kill A Mockingbird, not only because it’s my favorite book, but because the covers just sing to me. And I read each of them. (The paperback is the one I usually lend out.) Sometimes it’s like reading a different book, until I open to the first page and read the all too familiar first words “When he was nearly thirteen, my brother Jem got his arm badly broken at the elbow.” Then I am whisked down to that sleepy southern town of Macomb, Alabama, during the depression.